Digital learning on technical topics in Corporate and Investment Banking, Private Banking and Digital Awareness. Find out how you can benefit from Present Value's learning services for your teams - they will become more productive and successful. We want to hear from you. Reach out to us for more information or request a demo today! Discover an engaging learning experience for Banking & Financial Services with real market data feed from Refinitiv. Over 270 interactive eLearning courses (30-60 minutes), video based eLearning content (3-5 minutes), eLearning course summaries, case studies, online tutoring. 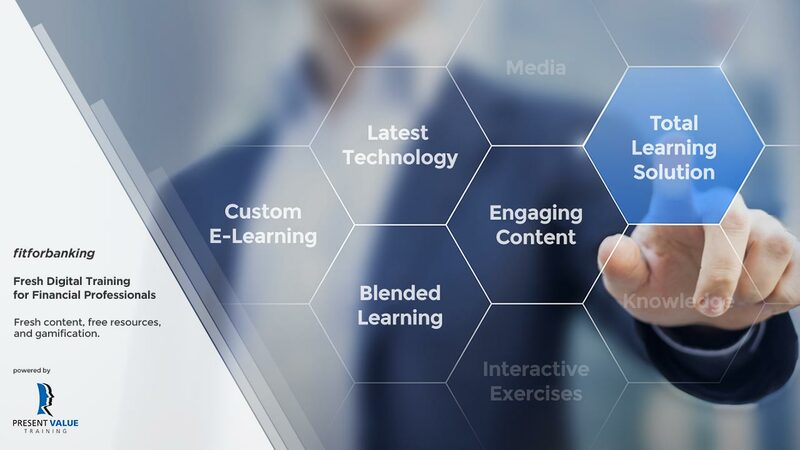 with a 15-year track record of successfully providing digital learning together with consultative implementation and ongoing support which meets our clients' strategic knowledge needs and improves employees' performance. for more information or to request a demo today!